The All New CrossRoads is a ministry to 20's and 30's that meets at the Lower's or Grabowski's every 4th Sunday of the month at 5:00pm. The evening consists of fellowship, refreshments, praise songs, and a topic presentation. Please join our Facebook Page OSLC Crossroads! The present series of study is "The Story." Facilitated by Dr. Mark Nimtz. 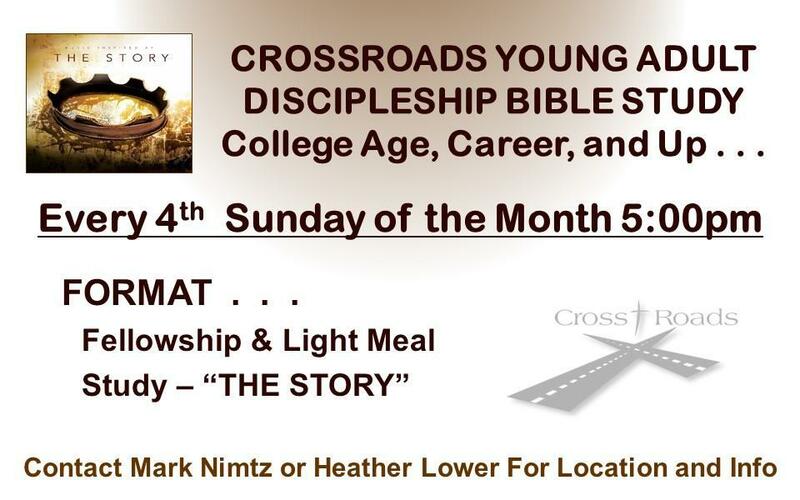 Call Mark at 248-646-6100 or email at nimtzm@ourshepherd.net for more info!